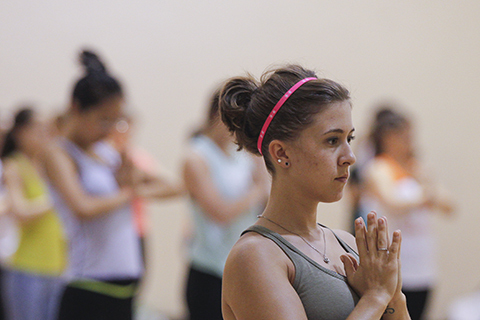 The Herbert Wellness Center offers meditation and mindfulness classes to students, faculty and staff, and community members at no charge. Brought by Sri Chinmoy Centres International, meditation classes at the Herbert Wellness Center are free and open to the public. In addition to the many benefits of meditation, you’ll develop mental clarity and discipline, as well as enhance creativity and inner peace in your pursuit of personal satisfaction. Check back for Summer 2019 Meditation for Inner Peace & Happiness dates. Mindful Meditation classes, held in Multi-A, are free and open to all. Please register in advance at wellness.miami.edu. In a partnership with UMindfulness, these free workshops are open to all University of Miami students, faculty, and staff. Check back for Summer 2019 Mindfulness dates.